THE South Australian Royal Commissioner’s report into the Murray Darling Basin released yesterday is a lengthy document of 746 pages, but has already prompted a range of initial statements in response by stakeholders. 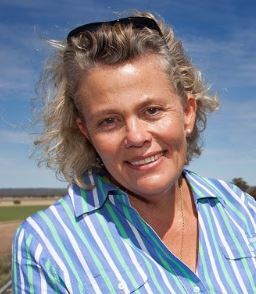 NFF president Fiona Simson noted that the report focuses on the legal validity of the Murray Darling Basin Plan and is “unnervingly emotive, not what would normally be expected from a Royal Commission”. “This validity issue is a matter that will need to be resolved through appropriate processes, we note that Solicitor General advice at the time maintains a different view,” Ms Simson said. The Basin Plan was passed six years ago by the Federal Parliament with strong bipartisan support and with the support of all other basin governments. The NFF welcomes the acknowledgement by the Commissioner that it will be commercially attractive to utilise allocated water to grow irrigated crops such as cotton and rice and correctly recognises that this is the market at work. The report also appropriately rejects the assertion that these crops should be demonised. Ms Simson said the recently released Productivity Commission five yearly review of the implementation of the plan contains reflections and recommendations that can be progressed immediately and is a much more proactive, balanced and robust report. The plan has had at least 35 reviews, 14 of which were independent, since its inception in 2012. It is due for full implementation by 2024 and is just over half way through, nevertheless already over 2000 gigalitres of water has been acquired for the environment that was not available pre plan. “The plan has always been a compromise, despite this it should be implemented. This is a once in a generation reform that corrects 100 years of overuse, and will take a generation to achieve. It deserves the ongoing support of all Australians,” Ms Simson said. The release of the Murray Darling Basin Royal Commission must be viewed with caution before any knee-jerk responses, according to NSW Farmers. NSW Farmers president, James Jackson, said members had been bearing the brunt of significant water entitlement cutbacks – including zero and very low allocations over the past season in some basins – and would not be letting South Australia’s water users off the hook. “This lengthy report will take time to digest. We will not be taking it or its recommendations at face value and we urge the rest of the community to view the claims made with similar scepticism,” he said. 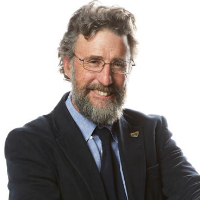 “We must never lose sight of the fact that farmers across the Murray Darling Basin who legally purchase and use water for productive purposes such as growing food and fibre – are providing a valuable environmental service too. Water can be used many ways to benefit the environment as well as agriculture and our regional communities. Mr Jackson urged those reading the Royal Commissioner’s report to be careful and not rush to support its conclusions. “It must be also remembered that this Royal Commission was established by the former South Australian Labor government to embarrass other Basin States into giving up more of their productive capacity to maintain fresh water flows, including for recreational purposes, in the lower Murray River’s lake system in South Australia,” he said. “Cool heads and calm hearts must prevail before any politicians and others get too excited about adopting these recommendations,” Mr Jackson said. NIC chief executive officer, Steve Whan, says the SA Royal Commission has been hamstrung by one sided evidence. “Royal Commissions have no magical powers, they are only as good as the information that goes in and the assumptions they make,” he said. “Unfortunately, in this case one of the fundamental opinions, leading to a suite of very colourfully expressed conclusions, is based on the evidence of a small number of high-profile Basin Plan critics. “The Commissioner has given us an opinion that the Basin Plan is illegal because he contends it does not set an appropriate sustainable diversion limit. Many of his recommendations stem from that conclusion. “In this case the Commission didn’t hear from the large number of scientists who are actually involved with the Basin Plan, many of whom are well respected academics working independently in research institutions. “One of the most disappointing aspects in this report is the Commissioner’s curt dismissal, with no justification, of the suite of scientific evidence showing that water buyback has negative impacts on communities. Many years of intensive research has shown that there are significant negative impacts from water buyback on small communities. On top of that scientific research, is the on the ground evidence from the people affected – again dismissed by the Commissioner. “The report seems to pick and choose which science it accepts and the science it dismisses (which coincidentally seems to be those people and groups who didn’t appear). “The report is not all negative. In fact, it acknowledges the very good work done on compliance issues (the original brief for the Commission) and does make a point of acknowledging the ‘massive importance of irrigated agriculture’ to Australia. NIC would also agree, as we have with many other reports, that better transparency is needed from Governments implementing the Plan. “Unfortunately, the report has, as a fundamental premise for a range of recommendations, a giant hypothetical. The question we ask is – if the Commission’s conclusions about legality and their recommendations to rewrite the plan were accepted – where would that lead us? “NIC has made it very clear that we want to see real environmental outcomes from the Basin Plan. We want a Plan that gives us healthy rivers, healthy communities and a continuing capacity to produce food and fibre for the nation. “And as we suffer another drought, it should be clear that no plan could drought proof the Murray Darling Basin. “The Australian people (and the Parliament on their behalf) didn’t vote for a Plan that would close down agriculture and country towns. They expected balance, with a sustainable level of extractions from the rivers along with life in country communities. The Plan received bi-partisan support because of that. “As the Productivity Commission told us last week, the Plan has made a difference already where 20 per cent of extraction has gone back to the environment. Two-thirds of the water that goes into our rivers stays there; it is not extracted. “Do the people of Australia really want to start again on the Basin Plan, with 10 years of argument, uncertainty and community turmoil? And would it be fair to the communities and industries that have participated in good faith, that all the targets they have been working toward are thrown out? Cotton Australia says the findings of the South Australian Royal Commission into the Murray-Darling Basin commended Australia’s cotton industry, while also making recommendations that could impact its future. The Commissioner, Bret Walker SC, said in the report Australia’s cotton industry had ‘almost been demonised’, and rhetoric of cotton being a ‘thirsty crop’ and an industry made up of ‘greedy farmers’ should be rejected. The Commissioner said cotton ‘should not be denigrated’ in comparison to other crops. 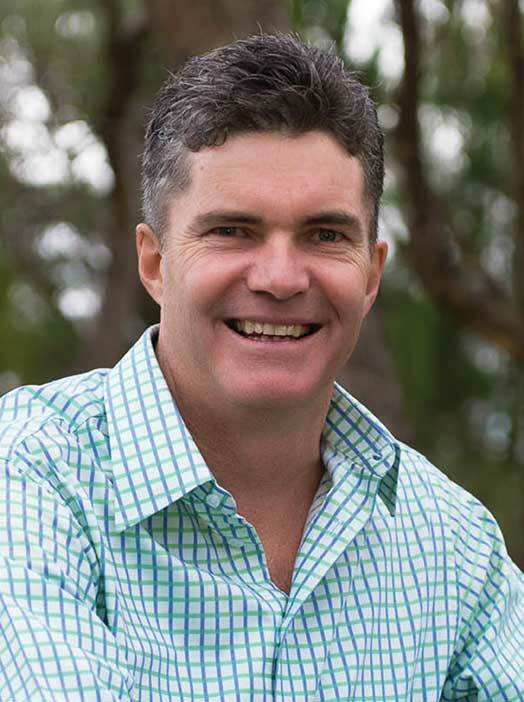 Cotton Australia chief executive officer Adam Kay said some of the Commissioner’s recommendations would throw the Basin Plan into jeopardy, which would hurt irrigated agriculture. “What is clear is that the findings and recommendations are based off a complex legal interpretation of the Water Act, and that the Commissioner views the environment as taking absolute precedence in the Plan. Our industry continues to support the Plan’s aim of providing balance for the environment, communities, and the economy. Mr Kay said some of the recommendations would need further scrutiny. “If the recommendation of repealing the Northern Basin Review (NBR) and reversing the 70GL reduced water recovery target is accepted, it would be an unwarranted assault on our democratic process. The NBR was built into the Murray-Darling Basin Plan from the outset and had bi-partisan support. Abandoning its findings and re-doing the NBR would undermine the hard work that has been done to ensure a balance is achieved. “Similarly, we have long supported improvements in metering and compliance, including around floodplain harvesting. We are a transparent industry, and to ensure that transparency, state governments must boost the systems in place to ensure metering data is accessible and thoroughly monitored. 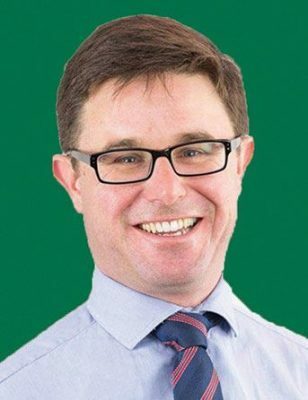 Federal Agriculture Minister David Littleproud said significant inroads had been made into delivering water back to the Murray Darling Basin, with the recent Productivity Commission review finding nearly all of the 20pc of productive water which needed to be recovered for the environment had been. “We’ve also taken big steps forward on compliance, which was indeed an issue in the Basin. Nobody who is doing the right thing has anything to fear from compliance. NSW has taken the issue seriously and real progress is being made,” he said. “Last year, for the first time, we used satellite tracking to make sure environmental flows made their way down the river – a great result achieved through modern technology. “Minister Speirs acted with integrity in dealing with me. The historic Basin agreement would never have been struck while Jay Weatherill was Premier of SA. When he and his combative Minister Ian Hunter left, we were able to take the politics out of the Basin Plan. “For the first time we have bipartisan agreement, between states and the Commonwealth, on how to return water to the Basin. This has come about through leadership and goodwill; not through fighting. “I thank (Labor Shadow Minister for Environment and Water) Tony Burke and all Basin Ministers for their honest spirit and cooperation as we created a historic Murray Darling Basin Agreement and gave the two million Australians who live up and down the Basin certainty for the first time in eight years. These people were fatigued from having their lives on hold because they didn’t know what water their district was likely to have – water is wealth in these areas. “The legal advice to the Commonwealth Government under both sides of politics for the last seven years has been consistent—the Basin Plan is lawful and was lawfully made.